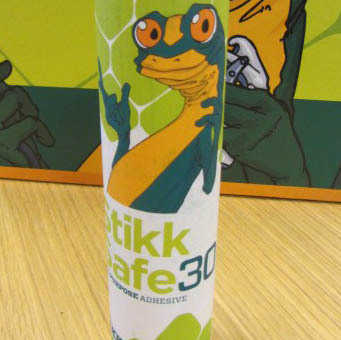 Launched September ’15 , STIKKSAFE 30 is a very fast curing all purpose adhesive – perfect for working quickly when applying large numbers of stair nosings / treads and can be used for many other structural bonding applications. This one part adhesive will bond almost any substrate in virtually all conditions, perfect even in the most testing of on-site conditions. STIKKSAFE 30 has a 290ML cartridge can be used by any standard skeleton gun. skeleton - Janser LTD supplying machines and tools to the flooring and associated industries for over 50 years. Call today on 0121 561 5888 .